Former deputy mayor Justin Swandel and Winnipeg developer Terracon were in communication about a contentious industrial land development both while he was in office and after he left to work for the company, according to court filings. There are no rules preventing Winnipeg councillors or the mayor from going to work for, and lobby on behalf of, developers once they leave city hall. Mayor Brian Bowman called for a cooling-off period in 2017, but on Tuesday, the city said it's waiting for the province to amend Manitoba's conflict of interest law before it suggests its own legislation. Swandel, who was elected as councillor for St. Norbert in 2005, started receiving emails from Terracon executives about the Prairie Industrial Park joint venture in November 2014, a month after he left office. He started receiving emails from city bureaucrats about the project in December 2014, and organized meetings with city officials starting in March, according to a list of documents filed in a lawsuit initiated by Terracon after city council cancelled the deal in July 2015. The emails Swandel received from Terracon shortly before and after he left office appear to be about pavement at the industrial park, according to the court document — which lists the subject lines of the emails, but does not provide their entire contents. Swandel was deputy mayor when city council's executive policy committee approved an agreement for road improvements for Prairie Industrial Park in 2009. In 2013, as member of the property committee, he moved a motion to support the city entering into a joint venture with Terracon to develop 95 hectares of land in St. Boniface and turn it into the Prairie Industrial Park. He was chair of the city's Riel community committee, which amended city planning recommendations and passed Terracon's application to change the way the land is used. The joint venture between the city and Terracon was under negotiation from 2008 to 2015. The city cancelled the deal in 2015, claiming it wasn't good for taxpayers. The developer filed a lawsuit in 2016 alleging breach of contract. The court documents show Swandel exchanged nine emails with Terracon executives while on council. He sent or received more than 150 emails about the project from Nov. 24, 2014, to Oct. 5, 2015, the documents show. Swandel, who served the majority of his time on council as deputy mayor and a member of executive policy committee, went on to work for Terracon. His last day as councillor was the Oct. 22, 2014, civic election day. 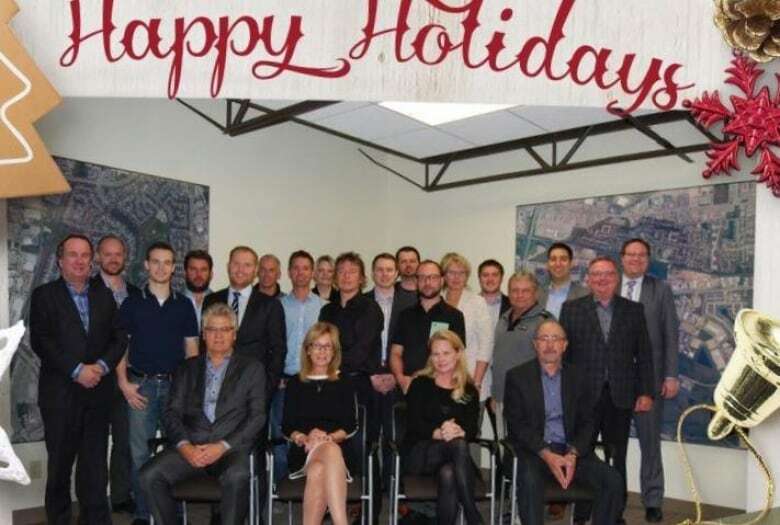 By Christmas, Swandel posed for Terracon's 2014 staff holiday photo. "There is clearly a potential for conflict of interest when elected officials are interacting with these companies," said Aaron Moore, an associate professor of political science at the University of Winnipeg. "It's a problem when you have somebody who has been representing the city immediately going and working for one of them, and bringing all of that internal knowledge of the government to the private entity," said Moore. "There have been a number of councillors, as you know, who've gone on to [other] work and we've seen [them] at city hall," Bowman said in 2017, when he called for the cooling-off period to restrict departing elected officials from lobbying city hall, and from taking certain jobs right after leaving office. "Certainly former councillor Justin Swandel has presented to [executive policy committee] and has advocated on behalf of a company," Bowman said. Terracon is the same company whose U.S. division entered into a land investment with former mayor Sam Katz weeks after he left office. In order for the city to have its own cooling-off period regulations, the province has to change legislation that governs city hall. That hasn't happened yet, because the city is waiting for the province to modernize the rules that apply to provincial officials. Bowman stands behind his original call for changes. 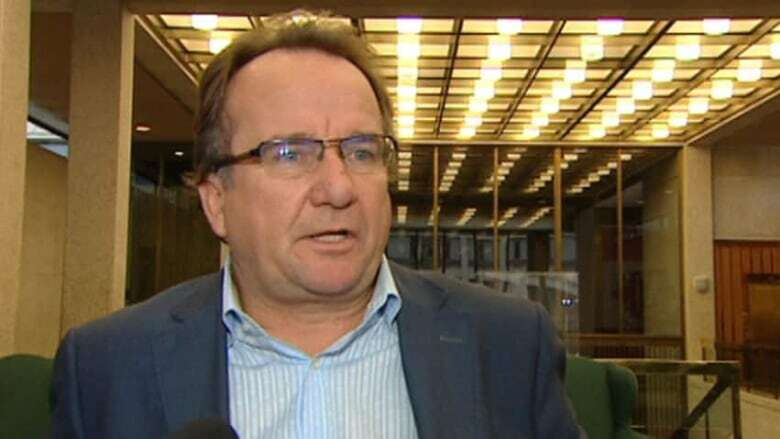 "We don't have a cooling-off period, so the day after you leave office, any member of council or the mayor can engage in activity, which I think could offend Winnipeg taxpayers and Winnipeg constituents," Bowman said at a press conference Tuesday. "Those rules are in place at the provincial [level] — there is a one-year cooling-off period." The province is expected to introduce its new conflict of interest legislation this session. The current version includes cooling-off provisions. The province says it's working with the City of Winnipeg on how to enact a cooling-off period into law. "Senior officials from the province and the city have been communicating on this and those discussions continue," said a spokesperson from the province's municipal relations department. Justin Swandel did not respond to requests for comment. Terracon's lawyer, Robert Tapper, declined to comment on this story. Got a tip for the CBC I-Team? Email us or call the confidential tip line at 204-788-3744.